Restaurant specialises in southern Malaysian food like honey sauce crab and crispy chicken. Vegetarians are very important to the human ecosystem, without which there would not be anyone to clean up the side salad on one’s plate of steak. Get rid of non-essentials with today’s Groupon: for RM128, you get a whole roasted suckling piglet (RM254.20 value) Yi Jia House KL (—-) in Bandar Baru Seri Petaling. 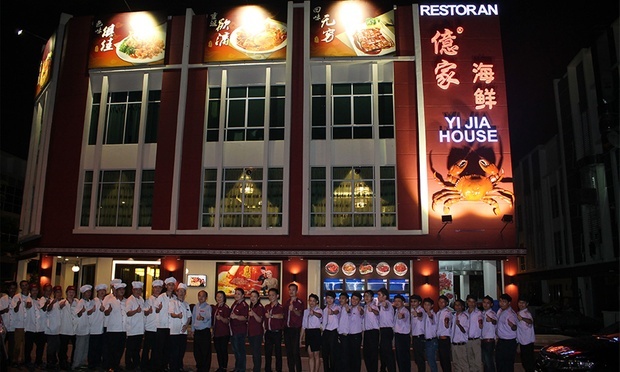 Yi Jia House KL (—-) was established in 2007 with a vision that drives their business: to provide customers with authentic Southern Malaysian cuisine. These cuisine range from signature dishes like honey crab, golden crab, and suckling chicken. Prepared using indigenous cooking methods and high quality ingredients, the dishes prepared are catered to traditional Malaysian-Chinese festivals and celebrations.